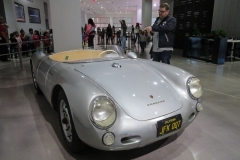 Our visit to the LA Lit and Toy show brings us always to different open houses where most of the Porsche fans that visit in the larger Los Angeles area, gather to chat and enjoy some food, drinks and talk cars. 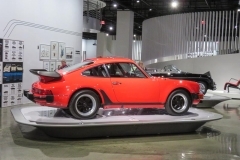 After our stop at the California Porsche Restorations open house in Fallbrook the day before, the Petersen Automotive Museum in Los Angeles was our next goal. 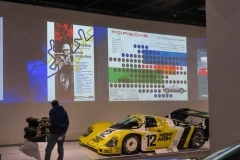 We told you about the Porsche Effect exhibition that they organized because of the 7oth anniversary of Porsche., and all the Porsches that are on display in the Porsche Effect exhibition. 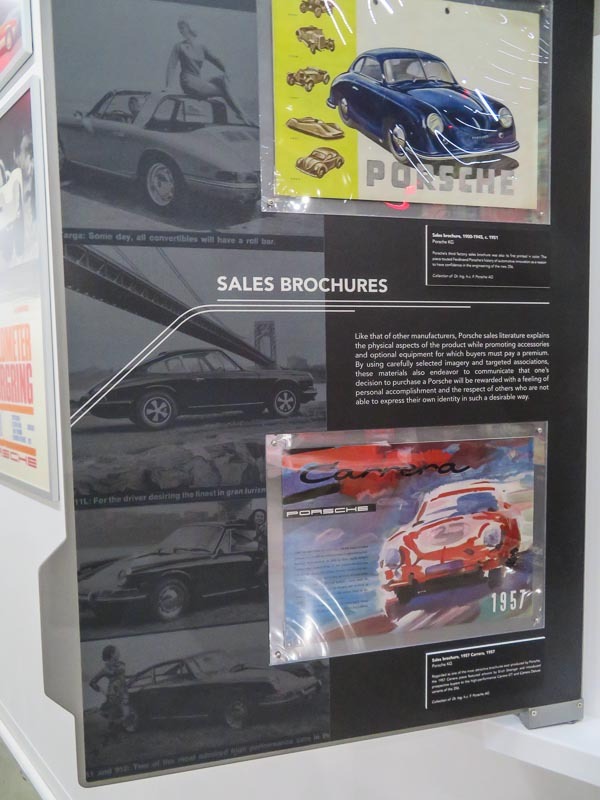 And ofcourse we had to visit that exhibition. 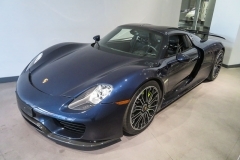 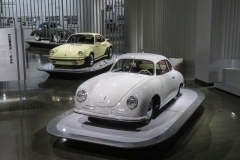 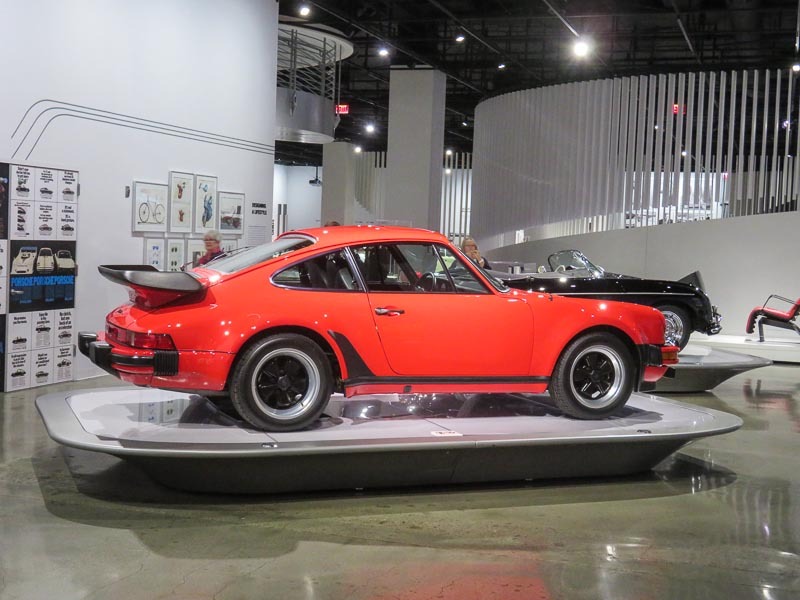 The new exhibit—organized in partnership with Porsche Cars North America and staged in the Mullin Grand Salon, was a tremendous display that one would want to see in every car museum one visits. 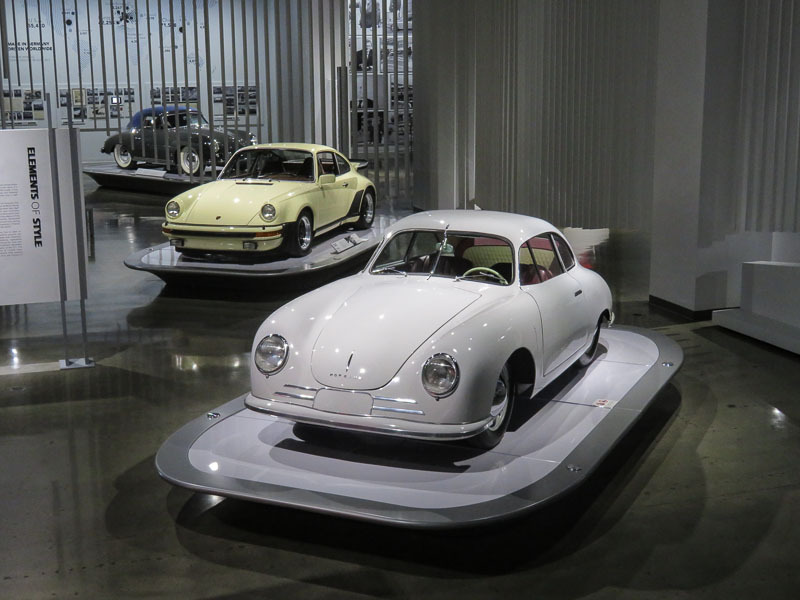 Even before you entered the Porsche Effect exhibiont, the Petersen Automotive Museum made sure you came in the right atmosphere. 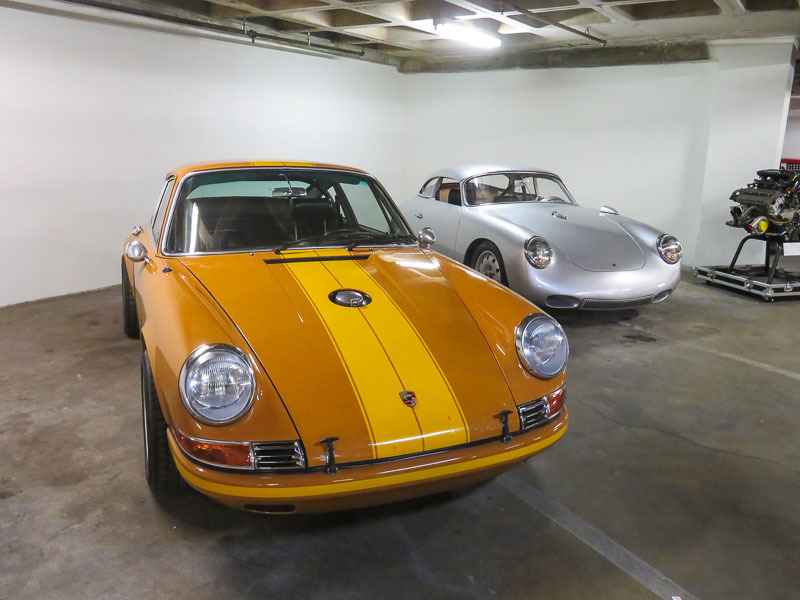 A 1967 Porsche 910 and a 1964 Porsche 904 Carrera GTS welcome the visitors in the entrance hall. 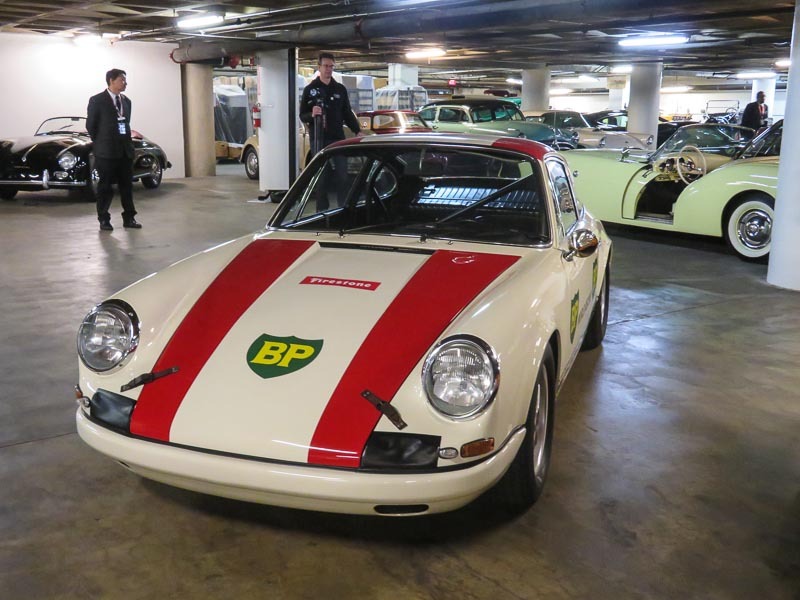 These 2 race cars from the 1960’s are accompanied by some more race monsters. 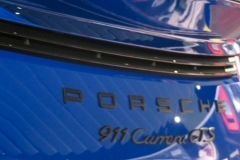 Both the race version of the Porsche 911 GT1 and a Porsche 911 GT1 Streetversion just a few meters further on. 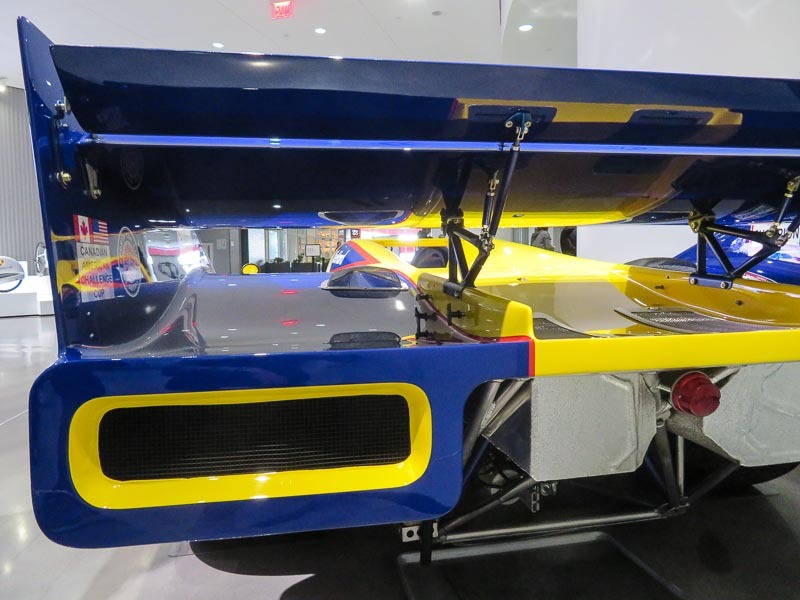 Not even 15 meters in the museum and there was a Porsche 917/30, driven by Mark Donahue in the 1973 Can-Am Series. 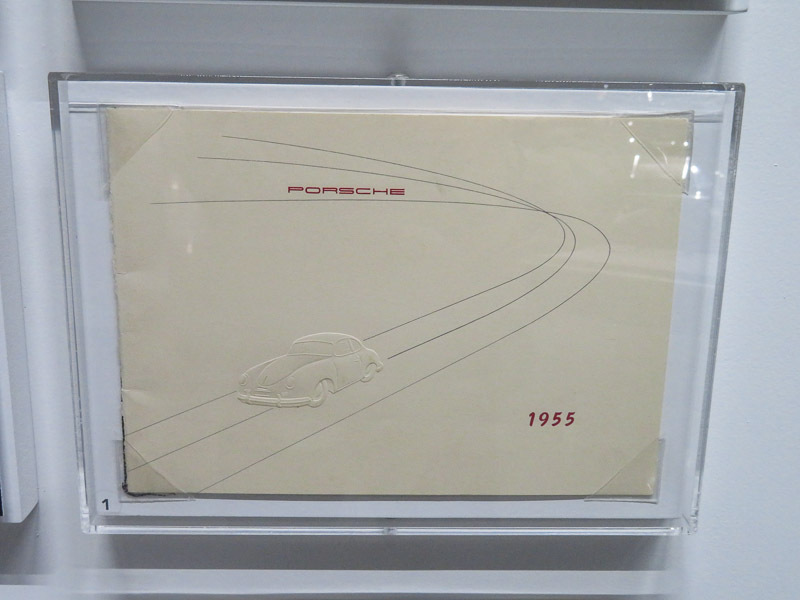 My personal highlight before even entering the actual exhibition was the Porsche 550-090. 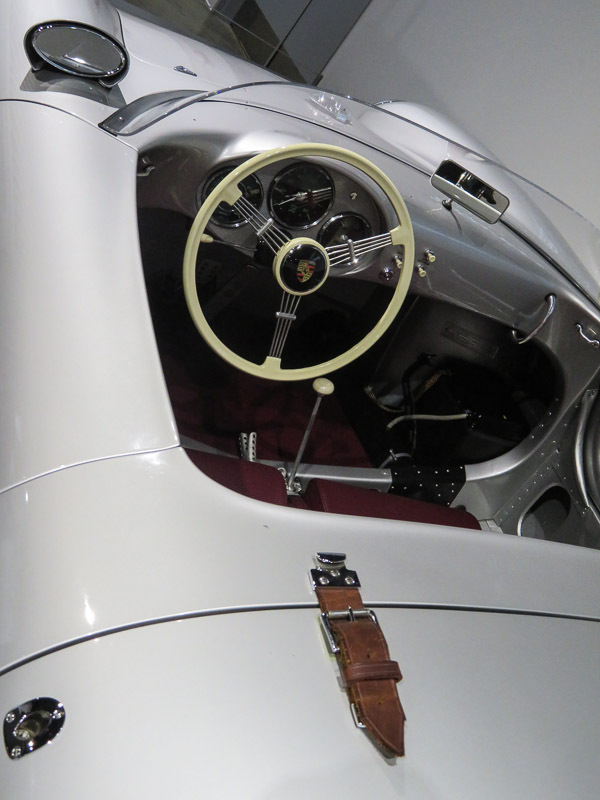 Even though Porsche 550 Spyders could actually been driven on the road, most of them were used as full-blood race cars. 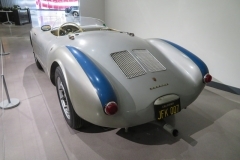 Porsche 550-090 however has never been entered in a race, and that probably explains why it still remains in completely original and unrestored condition. 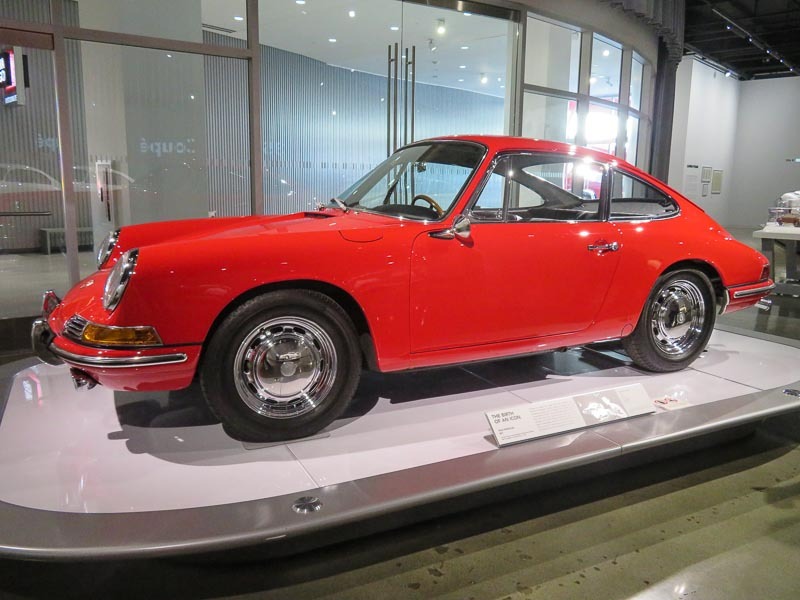 Absolutely a fabulous car, and worth the visit on it’s own. 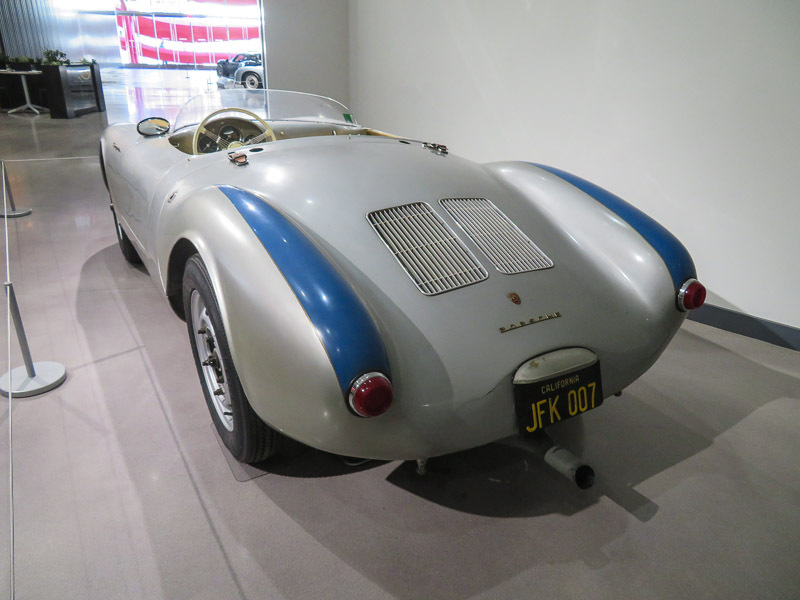 A rare sight was the 1951 Sauter Porsche 356 Roadster, with reverse-hinged doors. 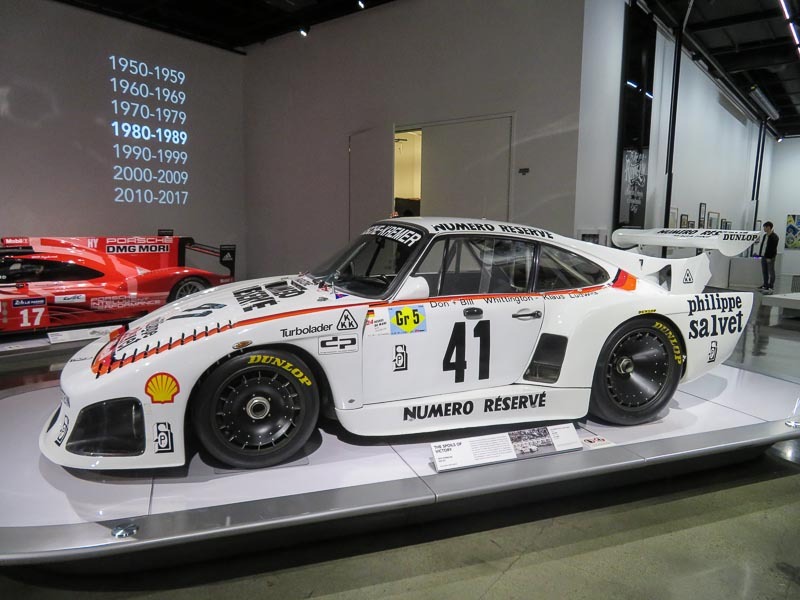 The collection on display includes a nice chronology of the rear-engined coupes that began with the 1938 Berlin-Rome Type 64 race car , a car designed by the old professor Ferdinand Porsche to compete in the Berlin-Rome race that never took place due to the outbreak of World War I. 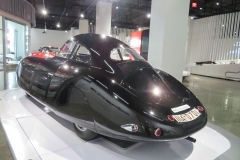 The Berlin-Rome car is on loan from The Prototyp Museum in Hamburg and is an exact replica built mainly with original parts. 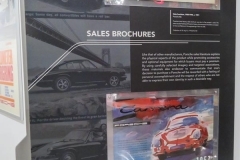 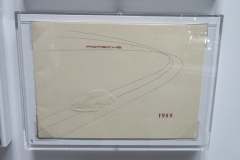 The wall was decorated with pictures and early memorabilia from Porsche history. 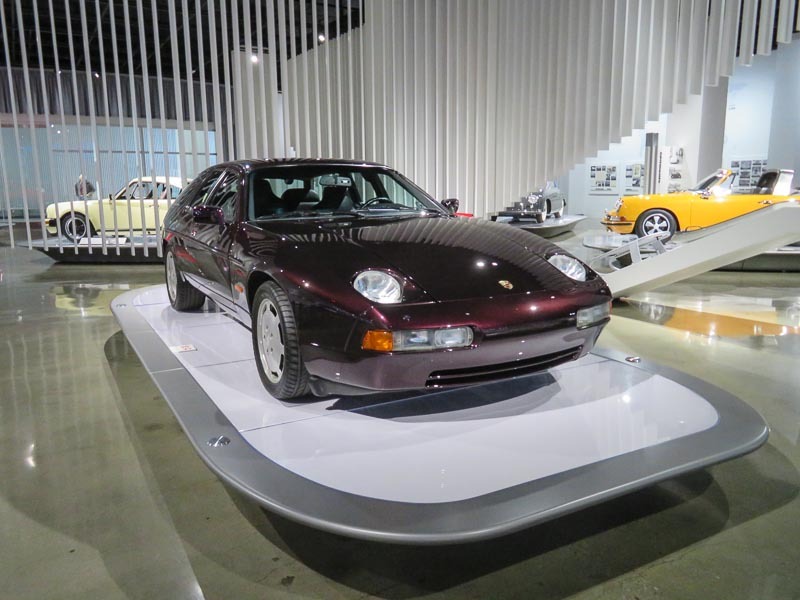 Great to see the Ferry Porsche’s id from back than displayed there too. 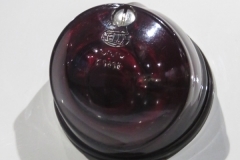 I’m pretty sure there’s many among us that would want that in our collection. 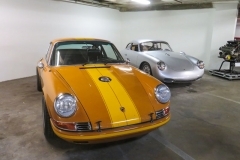 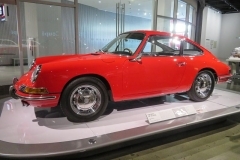 The exhibiton went on in history with the Porsche 356 Gmünd of the Jeff Zwart Collection. 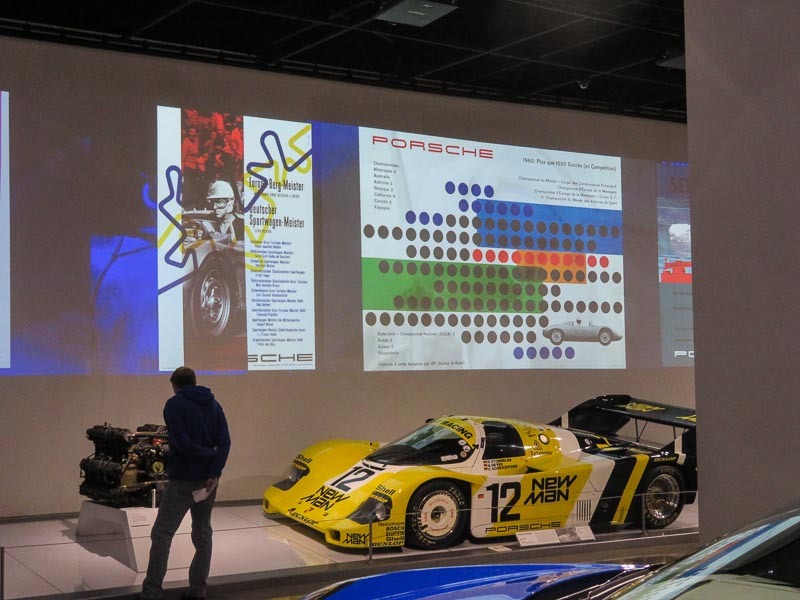 The cars in the Mullin Grand Salon, were shown on a platform with a small hard board attached, briefly explaining what you were looking at. 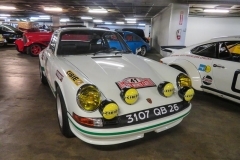 A great display was the row of race Porsches on one side of the Mullin Grand Salon, as if they were chasing each other on the banking of an oval track. 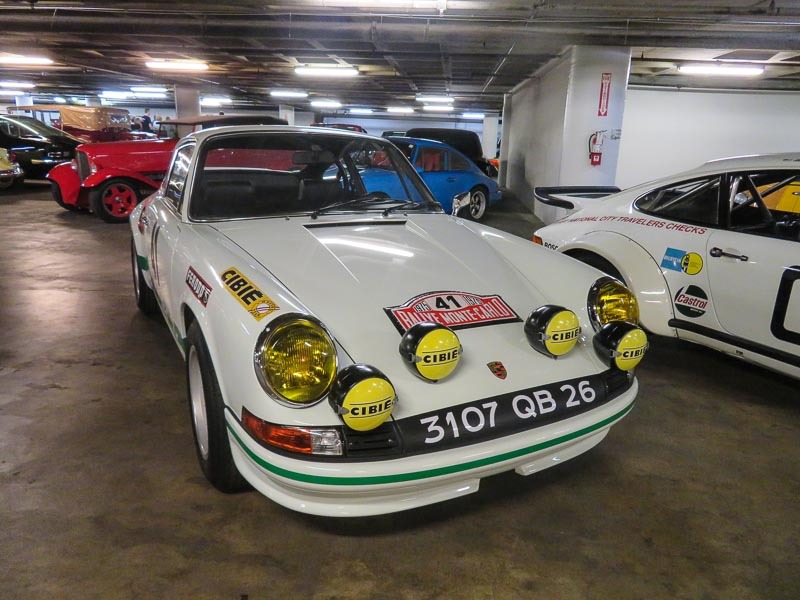 Between some of these cars a display with an engine used by these race Porsches. 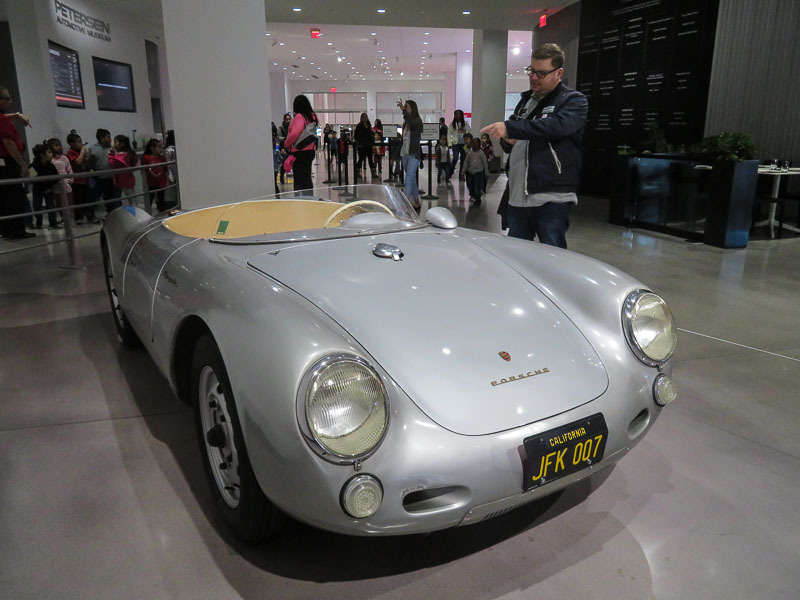 First in line was a 1955 Porsche 550 Spyder from the Ingram Collection, a car that has some great exposure in the Porsche Unexpected book. 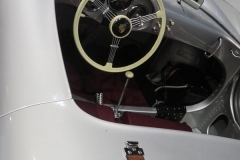 Next a Porsche 906 Carrera 6 , one raced by legens like Ben Pon and Gijs van Lennep in the Racing Team Holland. 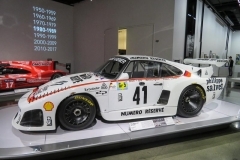 Bruce Canepa borrowed a Porsche 917K ( 917-015), the list goes on with a Porsche 956 in the NewMan livery and on with 1985 Porsche 959 “Paris -Dakar”, a car still covered in the mud and dust it collected in it’s race career. 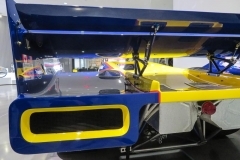 2 more modern Porsche racers competed the banking display with the Porsche RS Spyder and a Porsche 919 Hybrid. 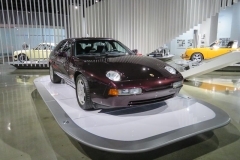 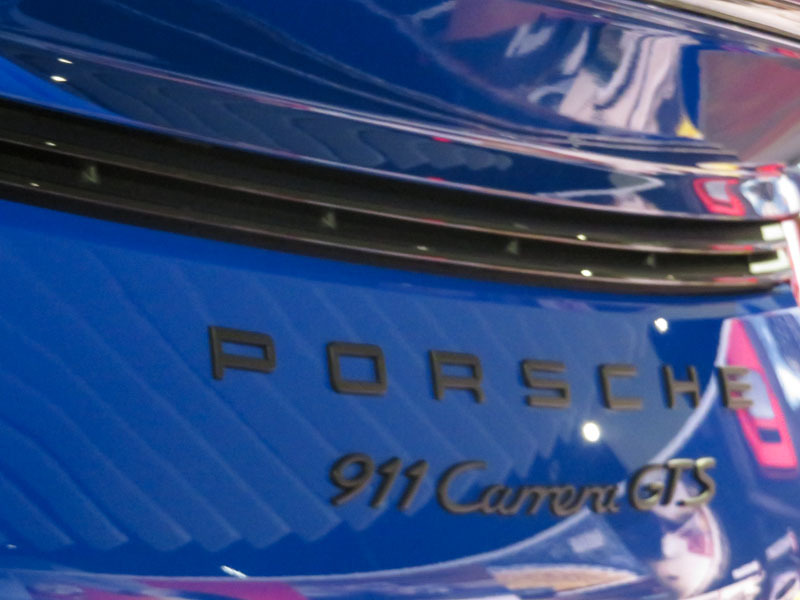 For those visitors whose Porsche needs were not yet satisfied with all the Porsche cars and memorabilia in themain exhibition in the Mullin Grand Salon, there is more. 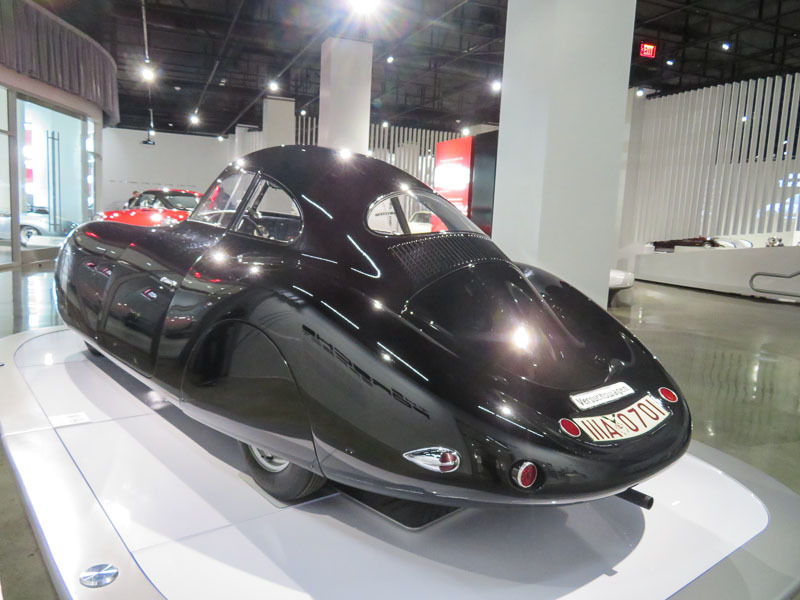 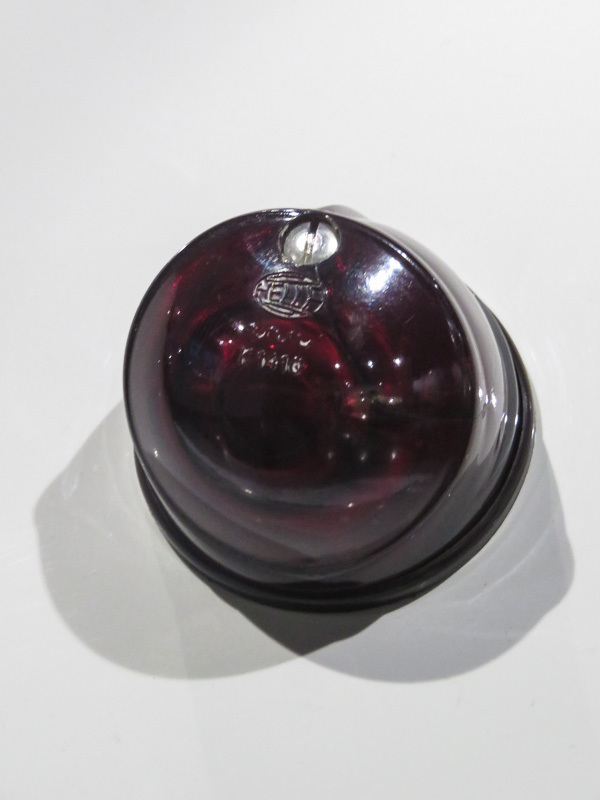 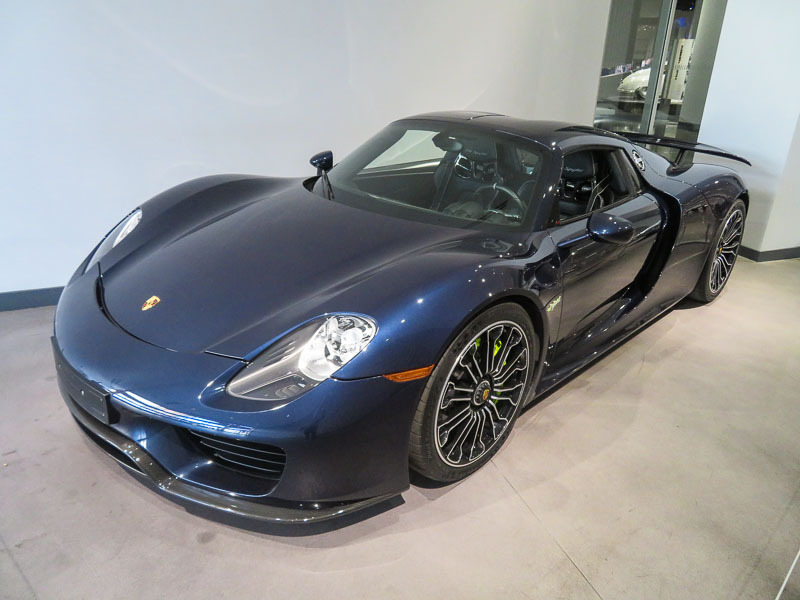 For an extra price you can visit the vault in the basement of the Petersen Automotive Museum. 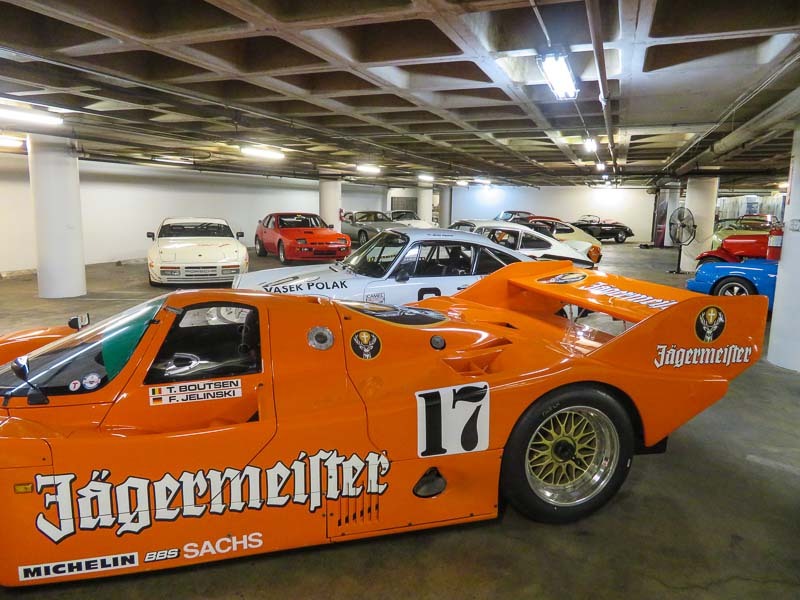 More legendary cars wait for the visitors. 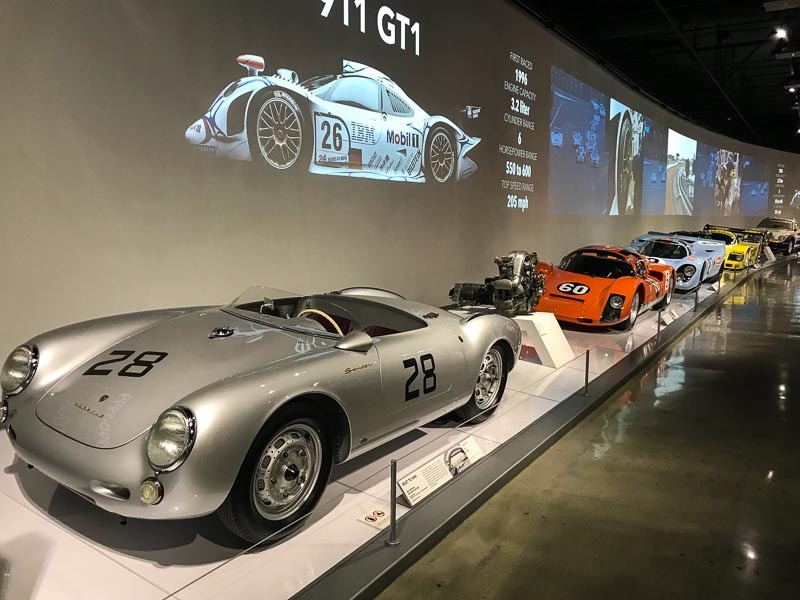 And no, it’s not because they’re stored in the basement, that the cars in the vault are less important than the ones in the main exhibition. 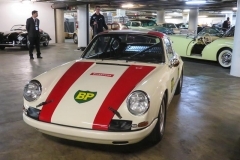 Or what do you think of the Porsche 911R (chassis 001) that was main actor in the 1967 Monza World Record run in Monza ? 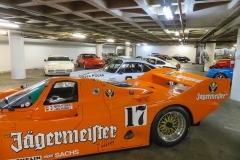 Cars that are less known to the wide public are the ex-Alain Prosst 1987 McLaren TAG Porsche and the 1988 March-Porsche 88C Indy Car.. and those are just a few as you can see in our gallery on the next page.